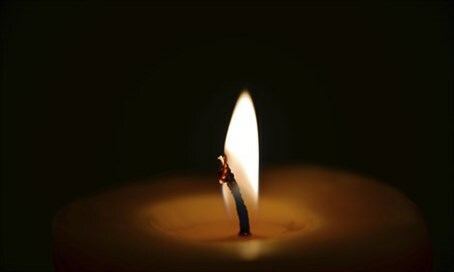 Rabbi David Shalosh, rabbi of the coastal city for 53 years, passes away at the ripe old age of 96. He will be buried in Jerusalem. Rabbi David Shalosh, the Sephardic Chief Rabbi of Netanya, passed away at the Laniado Hospital in the coastal city after midnight on Tuesday night. He was 96 years old at his passing. Rabbi Shalosh had served as Netanya's Chief Rabbi and a member of the Israeli Chief Rabbinate Council for the past 53 years. In the coastal city he also served as a community rabbi for the Zachor L'David Synagogue in the Zevulun neighborhood. The rabbi's younger brother is Rabbi Avraham Shalosh, who serves as the Chief Rabbi of Kfar Saba located just east of Ra'anana. Rabbi Shalosh's funeral procession will leave on Wednesday at 12 p.m. from his beit midrash (Torah study hall) in Netanya, and at 4 p.m. from Porat Yosef Yeshiva in Jerusalem's Geula neighborhood to the cemetery.